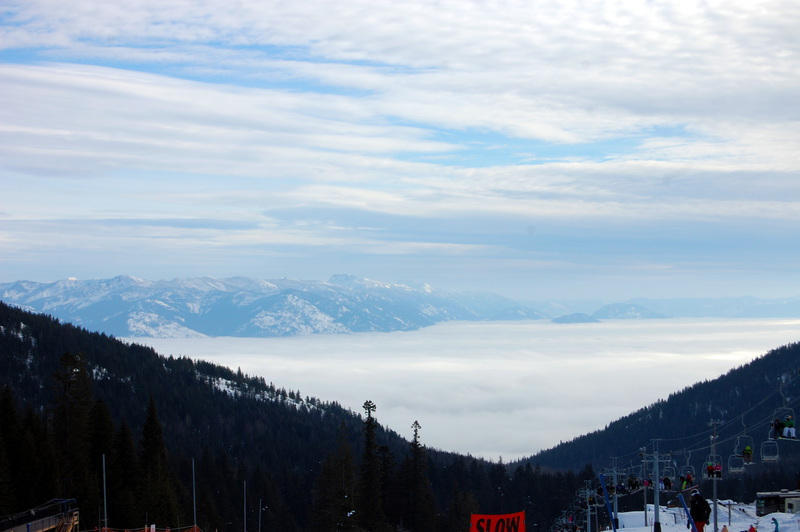 Winter can be gray and foggy … but a short drive to Schweitzer Mountain will cure those winter blahs. Time to take the office to the sun, above the clouds, where you can see Idaho, Washington and Canada too. If you’re a skier, you already know about this place. If you’re not, it’s still the place to go. 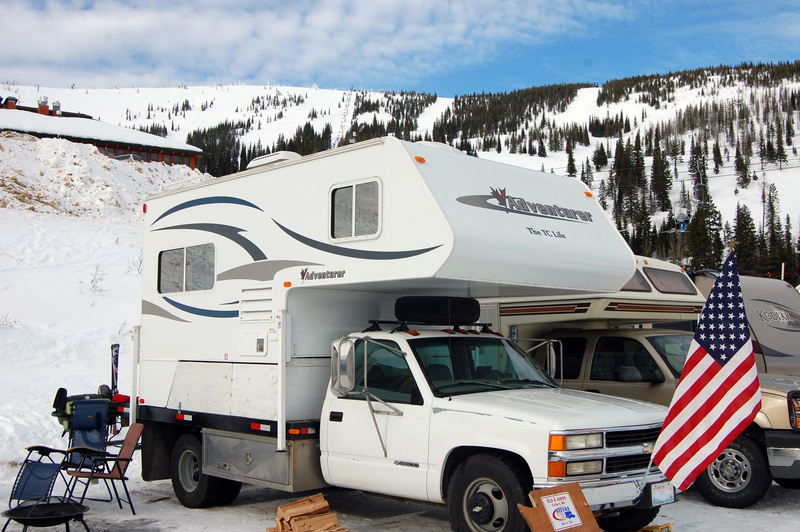 RV parking, a great view, wonderful weather, and a chance to meet up with friends. This is a great place to work and play! Yes indeed … another view ya’all could get used to. 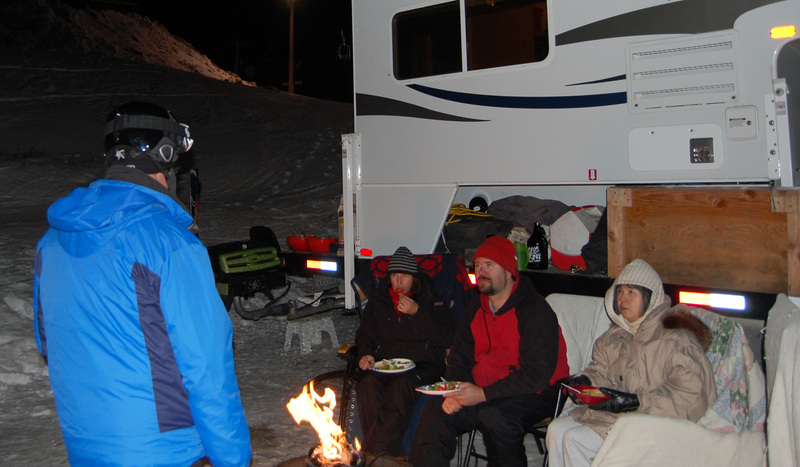 We got to meet up with “TC Life” (Rich, Joanne and Cody), and of course, they were out on the slopes. Parking is just below the village. No electricity or water, but who needs those things? We’re boondocking here, warm and cozy. Just put on your skis … the runs are to the right! 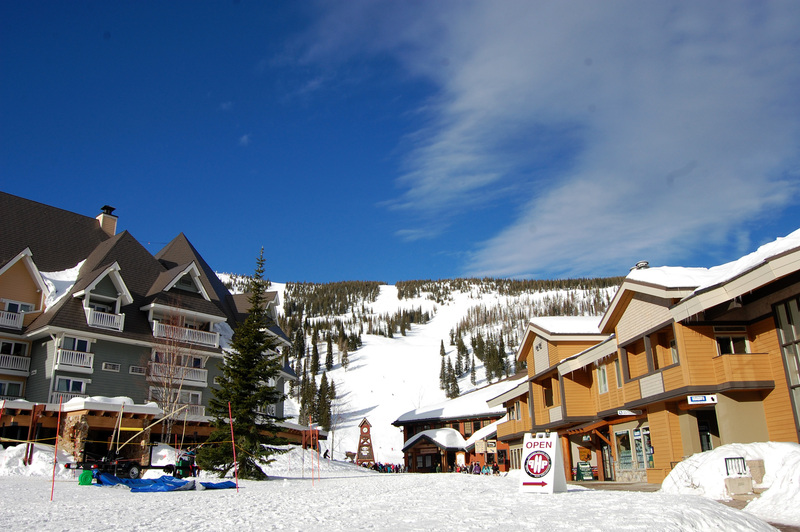 Head on up to the village for a little cheese, a cup of hot chocolate, and some time people watching. A perfect way to pass the afternoon. Even the evenings are picture perfect. 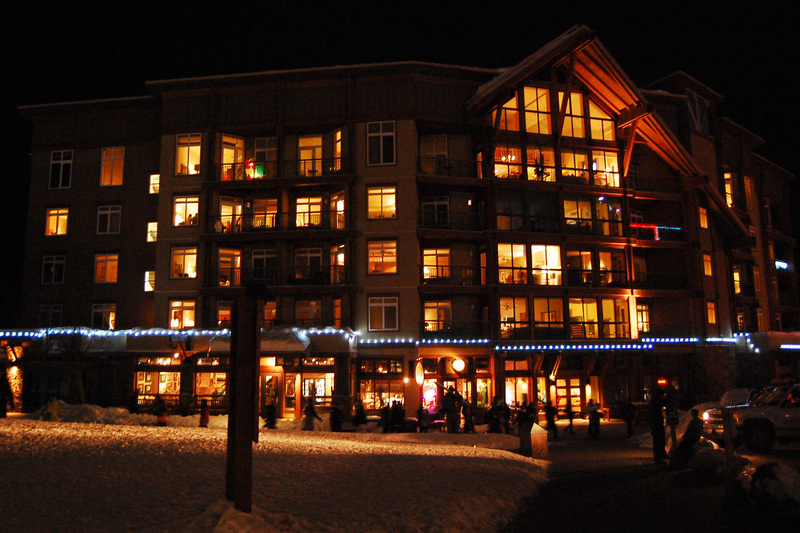 Schweitzer has night skiing, and sometimes a series of events too. 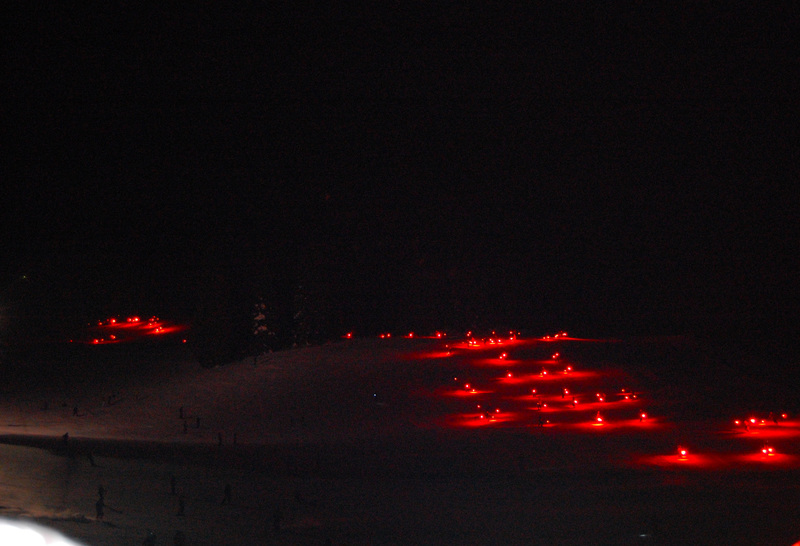 Tonight, after night skiing, there’s a torchlight parade and fireworks. So, there’s a little time to sit around the fire, fill up with some amazing chili (thanks Joanne!! ), and prep for the entertainment. 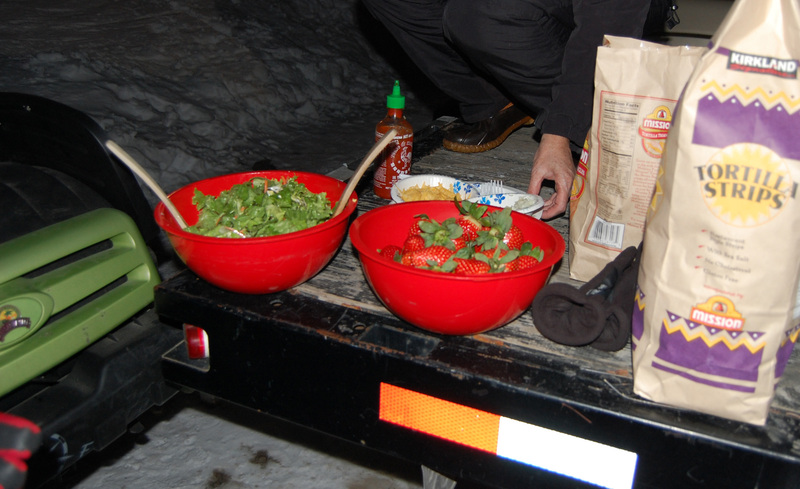 A little salad and strawberries to go with the chili. Enjoying the food and fire. Ahhhhhh! Everyone is enjoying the fire … we’re getting lots of verbal praise from passers-by. 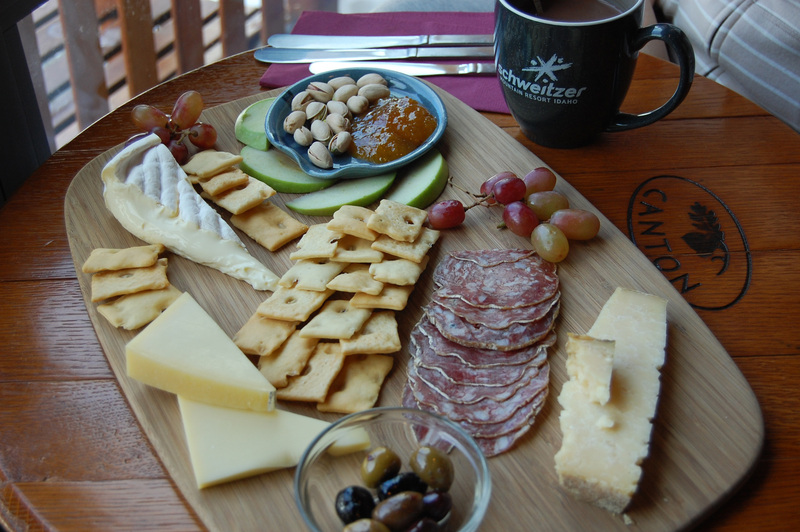 “TC Life” at Schweitzer – it’s a family thing! 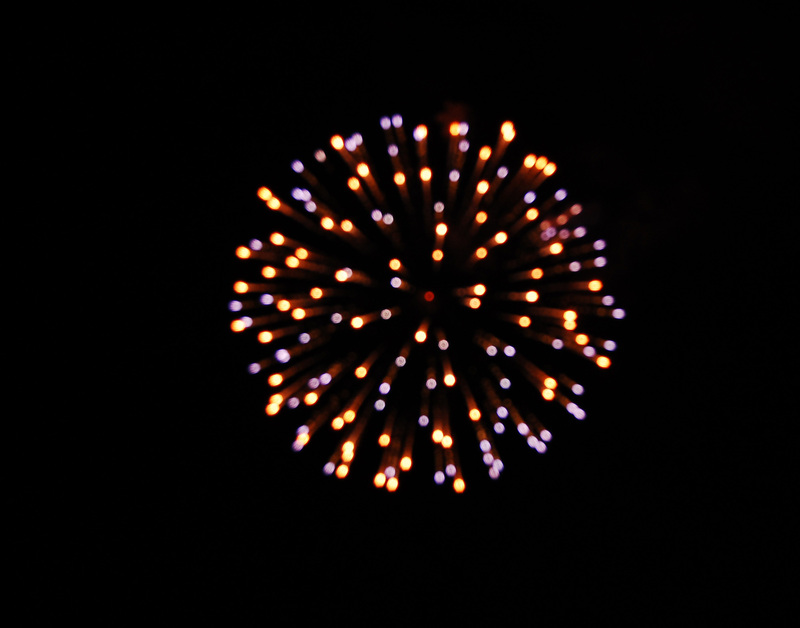 Off in the distance, the torchlight parade starts … you’ve gotta see this. Snaking down the runs, over the valleys and into the trees, then finally skiing right up to us. And finally, a walk through the village. Very much a family affair – and a wonderful finish to an amazing day. 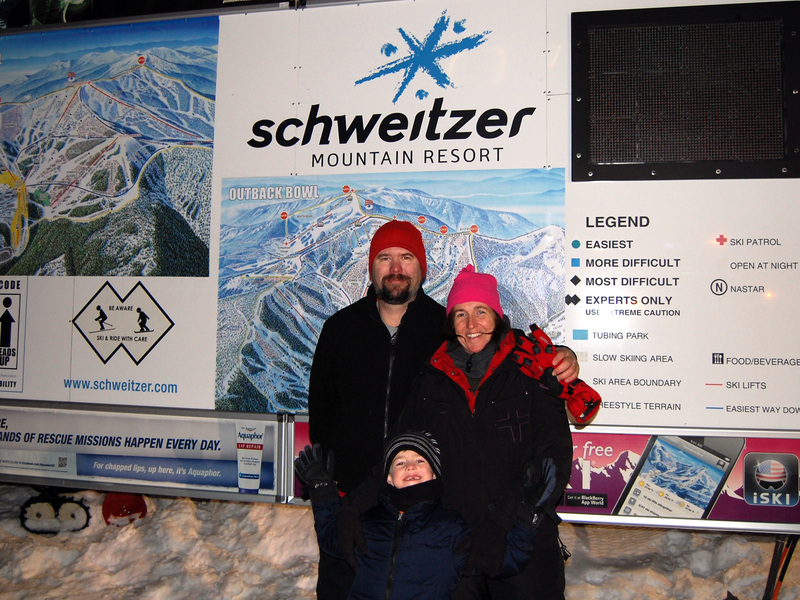 If you ski, or have an RV, or just want to escape from the dailiness of winter – go to Schweitzer Mountain! Yup … the next day is just as good as the last one. We’ve got sun, brisk fresh mountain air, and all those poor folks below are struggling in the fog. 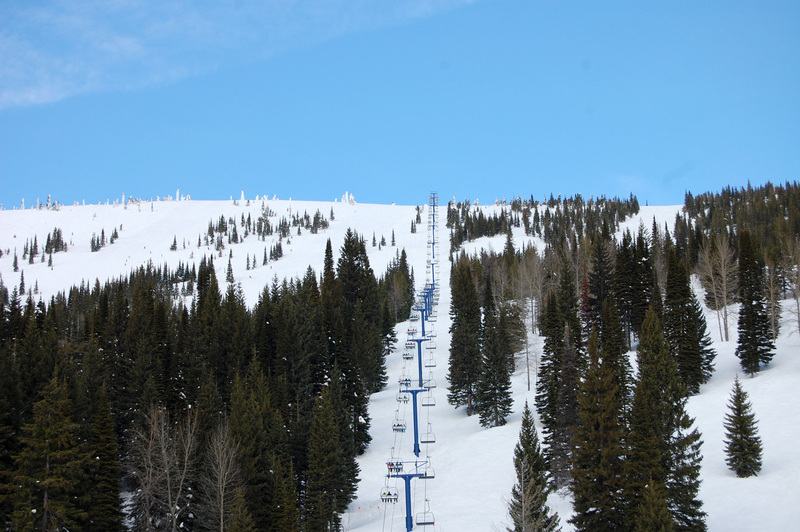 … and the lifts are full, but uncrowded. 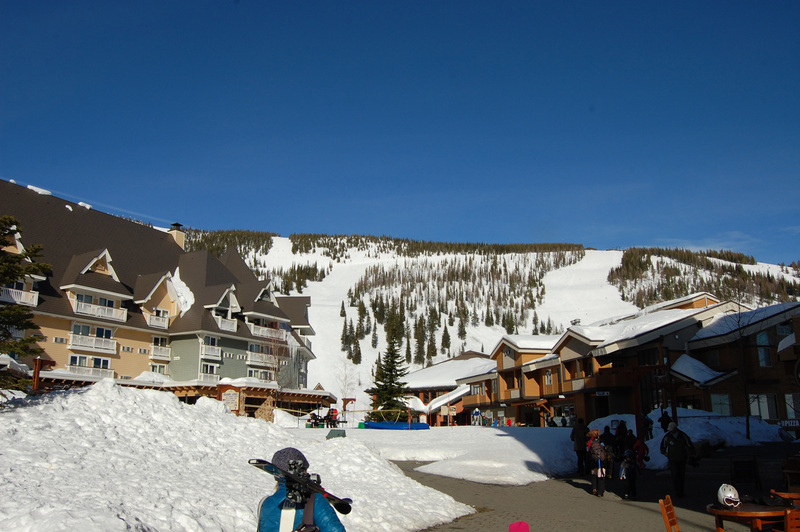 Skiers heading up for a day of exercise. 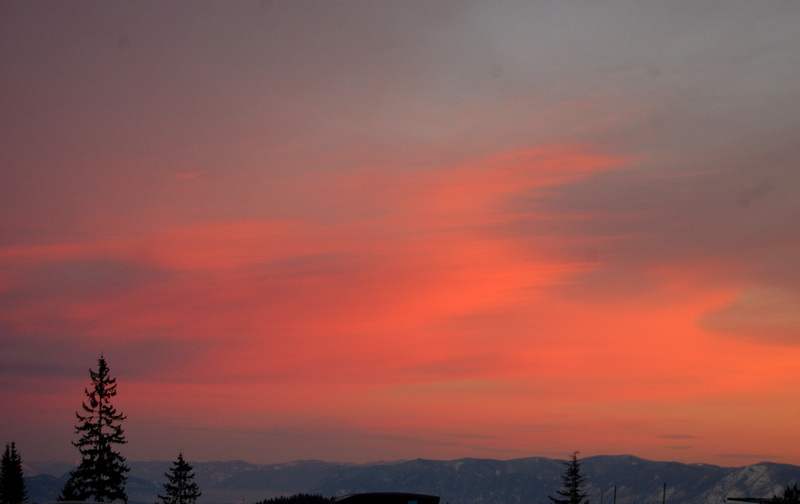 Skiers know … this is the place to be. Just outside of Sandpoint and Ponderay Idaho, it’s a perfect spot to work and play. Overnighting is a mere $20, a bargain. what a great trip. even better sharing it with friends. thanks for joining us. I’ve lived below the Mason-Dixon line too long to do winter in Idaho but love the state at other times. We’re full timers too. What a great life! Looking forward to following you.